Giving a plate of cookies at Christmas is a tradition in many countries. 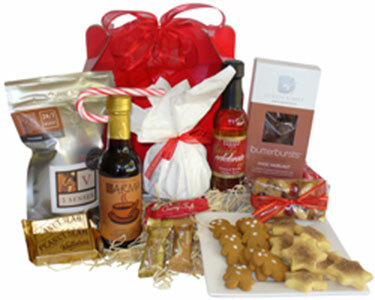 This hamper, with it’s selection of mouth-watering cookies, carries on a wonderful tradition. The perfect gift for a family, host or valued client. Presented in a white carry box with hand tied festive organza bow. Plate not included in hamper.